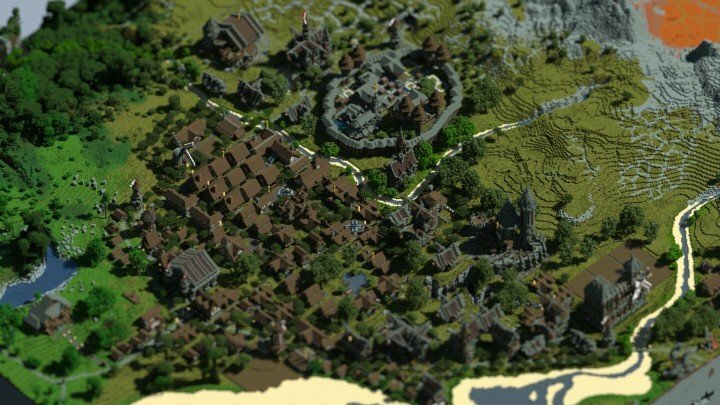 PLEASE NOTE - This map is not to be reposted, shared or distributed on any site other than PMC, Curse and Minecraftmaps.com without the author's permission. If you require any support with the map, please visit our forum and we will be happy to help you. This map has a Resource Pack included with the download, it should load automatically. Drobnovia is a nation under siege and you have answered the call to help. You start your journey at the docks of a foreign city called Freeport from where you set sail for Drobnovia. Upon arriving you start your adventure in the capital city, Drobnovia City and travel through lands of breath taking scenery, cities and towns as you earn the right to fight the dragon and save the people of Drobnovia. In order to earn the right to be the one chosen to fight Endergon you will need to earn the approval of the High Council of Drobnovia. The main storyline quests revolve around you doing this and as you do so you will encounter in excess of 100 side quests. Storyline Quests - consisting of 9 quests and epic final battle. Side Quests - in excess of 100 side quests that provide you with equipment, items and fame amongst the people of Drobnovia. 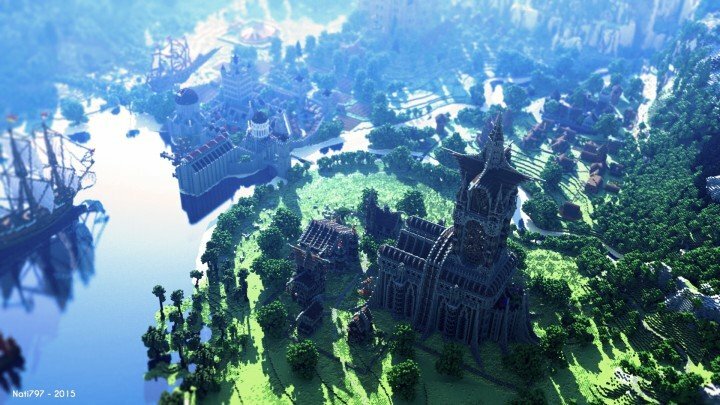 Epic Scenery - custom made map with biomes of breath taking beauty. Amazing Cities & Towns - every building has been hand furnished by a team of dedicated builders. The signs are not blank. This is an issue with Minecraft. * Adjusted the firework display and the messages displayed at the end of the adventure in order to make it more relevant to the fact that there is a second adventure that follows on from the first one. I don't know anyone noticed but this map is built on APTERRA created by sabbas apterus. I think the buildings are beautiful. Great job!!!! We use another of his maps for our other adventure map too - The Golden Chalice of Kurast. 0 scouter2000 I don't know anyone noticed but this map is built on APTERRA created by sabbas apterus. Is it supposed to be in peaceful? I'm 10 minutes in the map and got killed by zombies twice. Hello! I am a developer and I want to create new game with this map. Can I create this game and use it or commercial use (little ads in game)? Sorry but we are not allowing others to use our work. I cannot seem to find the crypt that the 4th Knight is telling me to find. Where is it? Support is provided on our website and we also have video walkthroughs of all of the storyline quests. Wow, this map was something special. I had played the original terrain map at one point when it was under a different name, but thought "wow, this is gorgeous, but it really needs some objectives" and boy did you guys deliver! Even as I'm ending I still had something like 10 side quests I either botched permanently or never found. My main beef with this was that there are a fair number of sidequests that simply aren't interesting. Go here, buy this, go back. Sometimes even hammering in the frustration with "lol nvm go back there and buy this too" like that fishing rod one. Those sidequests simply aren't fun. Especially when, after 2 hours worth of searching and walking, my reward is a brief buff, or less gold than I spent on the item to give to him! Other than that, tack a few more ender chests around and give the player a "heartstone" off the bat that teleports them to the king's chamber so they don't get stuck in the terrain or lost. Lastly definitely spruce up the Endergon boss fight, for obvious reasons. -breathtaking environments. One of the most gorgeous maps ever. I look forward to that 1.9 map I saw on your website when it's done! This was a blast! Thanks for taking the time to share your opinion and the next adventure will be launched next week, hopefully :). 0 Azounstone Version 1.4.1 has been released (once updated here). +1 Lisa Is it supposed to be in peaceful? I'm 10 minutes in the map and got killed by zombies twice. -1 Sam Tulach Hello! I am a developer and I want to create new game with this map. Can I create this game and use it or commercial use (little ads in game)? 0 Jacob G. I cannot seem to find the crypt that the 4th Knight is telling me to find. Where is it? It broke before I even went off the ship... I cleared chat accidentally, and the sign wasn't work. Does it stop working once you use it once, or is it my computer? played in 1.8 as requested, but it only took me 7 minutes to exploit and break the map. high praise to the makers for detail in "unreachable" areas. The point of the game is to play the map, not 'exploit and break'. Yeah, you can do that. They never said you couldn't. but that's not the point of the map. -3 Fox From the little bit I played of this map, I loved the story and mechanics. I just found it very easy to get lost and eventually just gave up. why when i enter the forest after house (when go to alzir city) my games broken? 0 LeeTwentyThree It broke before I even went off the ship... I cleared chat accidentally, and the sign wasn't work. Does it stop working once you use it once, or is it my computer? -4 LastFoxy why when i enter the forest after house (when go to alzir city) my games broken? I love the map. It's seriously impressive how much time went into it. How did you make the screenshots so pretty though? Like what's the name of the program? 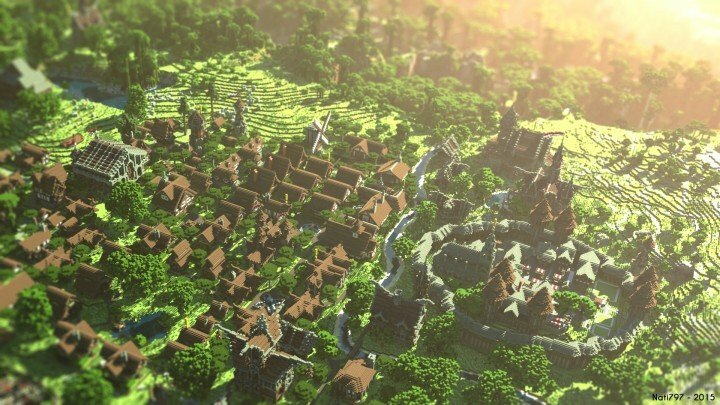 superb map sooo cool.the graphics of this map are very good as compared to normal or many other maps.again minecraft looks and feels like a great game just because of this map!well good work to the team who made this map.keep up the cool work! +4 fire danzer superb map sooo cool.the graphics of this map are very good as compared to normal or many other maps.again minecraft looks and feels like a great game just because of this map!well good work to the team who made this map.keep up the cool work!